Ms. Saito, an acclaimed quilter, teacher and designer from Japan, wows us once again. 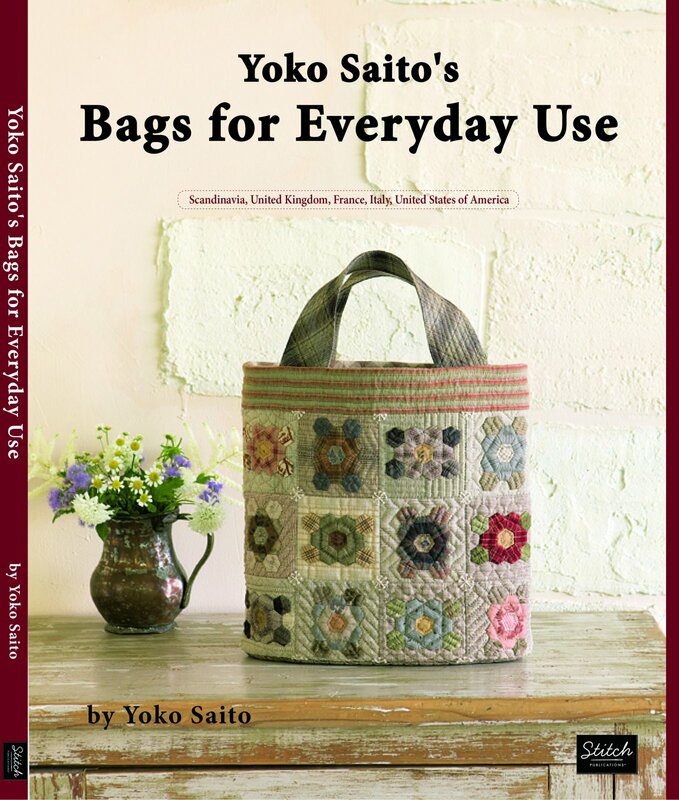 In this book, she designed a variety of bags that were inspired from her many travels around the world. The collection of bags reflect the cultures and geography from her perspective as she takes us through Scandinavia, the United Kingdom, France, Italy and the United States of America. Not only are they beautiful and unique in design and form, they are practical for everyday use. There are 21 projects that include handbags, shoulder bags, pouches and more.